Of course these are a cat's prints. Of course these are a dog's prints. They can be whatever you like, but they are cute, that's for sure. 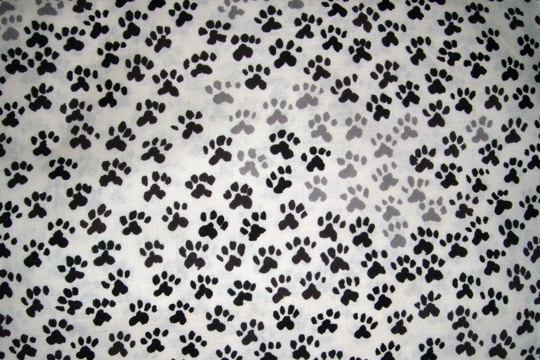 A seemingly random pattern of paw prints is dabbled throughout this white-background fabric. Most are black, but, as you can see, there are small shadow sections of only grey prints.